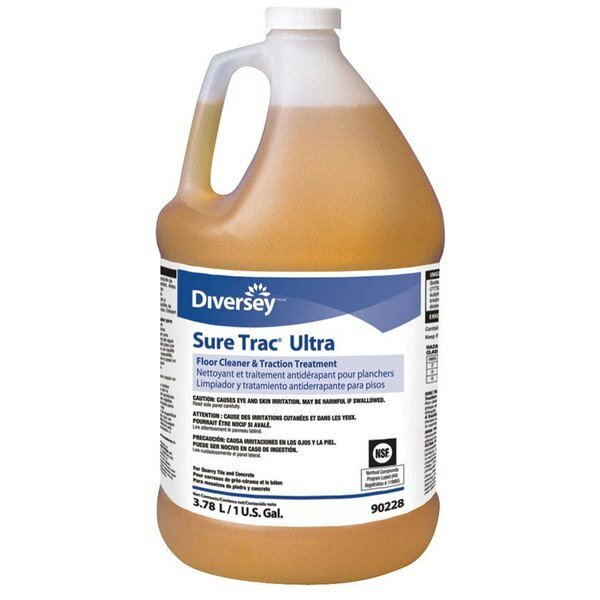 Thoroughly clean the floor and tile of your commercial kitchen with the Diversey Sure Trac Ultra 90228 1 gallon floor and tile cleaner! This cleaner efficiently breaks down oils, grease build-up, and fats on your floor and between tiles. When dry, this formula provides microscopic traction to the floor surface to prevent dangerous slips and missteps. And thanks to its specialized formula, this cleaner can be used as often as needed without risk of harming your valuable floors and tile. Available while supplies last. 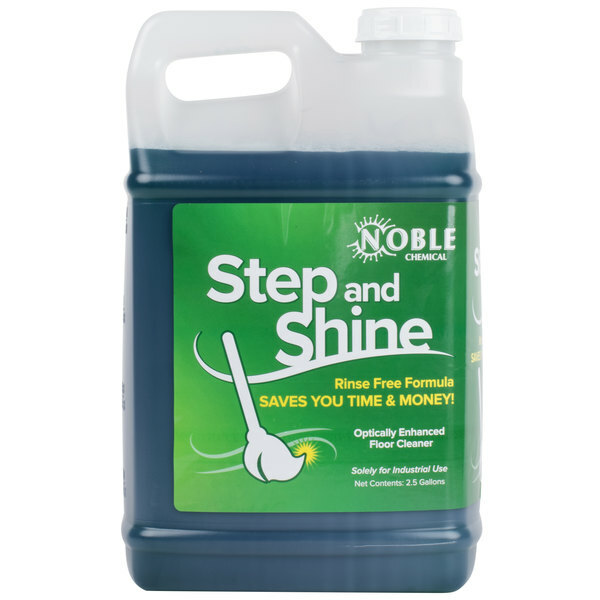 Check out our replacement for this Diversey product - Noble Chemical's Step & Shine floor cleaner! Suitable for use on a variety of hard flooring surfaces, its low foaming formula is also perfect for use in automatic scrubbers. And with no rinsing necessary, it will enhance the beauty of your floors in one simple step!